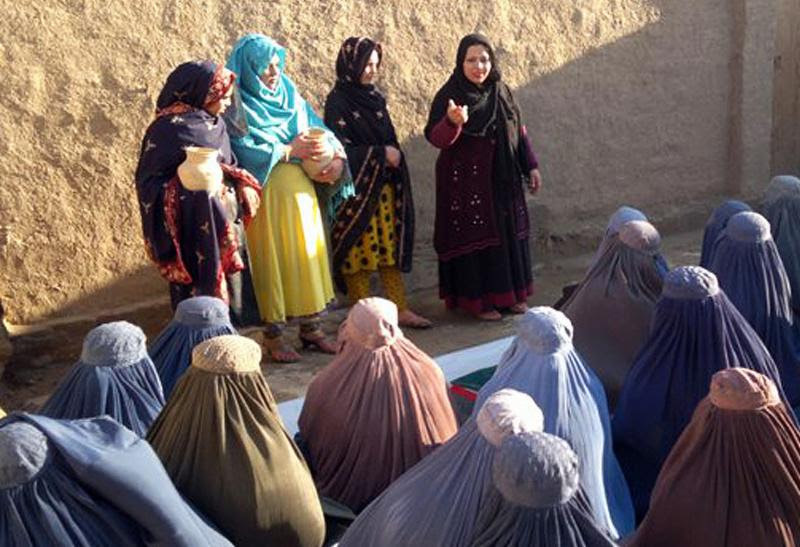 Six Afghan theatre troupes, including three all female groups, brought news about voting rights to villages in six provinces in Afghanistan over the last nine months to promote the April 5th elections. Performing for thousands of citizens in a wide range of locations, even in homes, the groups presented entertaining plays that demonstrated the value of every vote. Many citizens were unaware of voting rights and procedures, especially in rural areas and among young voters and women. The plays provided information about who has the right to vote, how to register, signs of fraud and where to report it, in an engaging format. Since women are limited in their ability to travel, the three all female troupes played in centers for women, girls's schools, shuras, shelters and women's prisons. They even gathered neighborhood women in private homes to present their play. Women stand to gain or lose the most with the new leadership.